A pill with imprint Cor-135 is identified as amphetamine and dextroamphetamine 20 mg tablet which is of pink color and round n shape. The main supplier of this medicine is Core Pharmaceuticals Inc. The combination of amphetamine and dextroamphetamine is used for the treatment of ADHD (Attention Deficit Hyperactivity Disorder), narcolepsy, and fatigue. It belongs to the drug class central nervous system stimulants. The risk of this medication cannot be ruled out during pregnancy. As per Controlled substance Act (CSA), it is classified as a controlled substance which comes under Schedule 2. Pregnancy Category: C- Risk cannot be ruled out. Labeler / Supplier: Core Pharmaceuticals Inc.
Drug class: This compound belongs to the class of organic compounds known as amphetamines and derivatives. These are organic compounds containing or derived from 1-phenylpropan-2-amine. If it is given you for any other reason, talk to your doctor about it. In Australia: It comes under Schedule 8, in which drugs are known as controlled drugs or the substances which have a high potential for abuse and addiction. In Canada: It comes under schedule 1, which means that this medication is available on shelf in supermarkets and pharmacies. Under schedule 1, these drugs are considered as low risk drugs but should be used as per the directions are given on the label. In New Zealand and United Kingdom: This medication comes under class B, which means this drug, has very high risk of harm and should be used only under prescription. What are different brand names for a combination of amphetamine and dextroamphetamine? Cor-135 comes under brand name of Adderall and Adderall- XR. Amphetamine salts are available in generic and brand versions. Generic Cor-135 is covered by some Medicare and insurance plans, but pharmacy coupons or cash prices may be lower. The lowest GoodRx price for the most common version of amphetamine and dextroamphetamine combination pill is around $40.00, which is 56% off the average retail price of $91.16. Cor-135 pill contains amphetamines which stimulate the release of norepinepherine from receptors known as central adrenergic receptors. They also stimulate the release of dopamine from mesocorticolimbic system and nigrostriatal dopamine systems, when taken in higher doses. 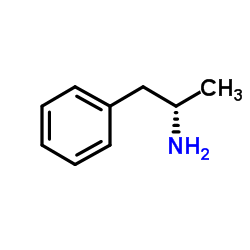 Amphetamine may also act as a direct agonist on central 5-HT (5-hydroxy tryptamine) receptors and may inhibit monoamine oxidase (MAO). 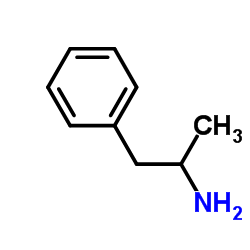 Amphetamines are believed to cause the release of noradrenaline by acting on the adrenergic nerve terminals and alpha- and beta-receptors, in the periphery. Modulation of serotonergic pathways may contribute to the calming effect. Amphetamine forms easily absorbed molecules which are highly soluble in lipid. It shows 15 – 40% of protein binding. Amphetamine is metabolized into the 4-hydroxy-amphetamine with the help of the enzyme CYP2D6. Half of the administered dose of amphetamine as metabolites (such as alpha-hydroxy-amphetamine) is recovered in urine when the pH of urine is normal. The elimination half life of amphetamine is 11.25 hr. Dextroamphetamine has an oral bioavailability of 75%. It undergoes hepatic metabolism. And the half-life of dextroamphetamine is 10 to 28 hours (12 hours on an average). When large and heavy doses of Cor-135 are taken for longer periods of time, it may develop a dependency on such medications. The body may become accustomed even if a drug is used for a short time. Dependency causes the body to expect the delivery of chemicals without the help of the organs on the scheduled time. When the drug is stooped, the drug starts withdrawing from the system and body find it difficult to work properly. Similarly, the drug tolerance can also develop in case of amphetamine and dextroamphetamine combination medication. The tolerance increases when a person takes larger doses in order to achieve the desired and early effects. The human body is capable of developing the tolerance to stimulating agents such as amphetamines. How long Cor-135 stays in the system? The Cor-135 contains amphetamine and dextroamphetamine, both of which have an elimination half-life of approximately 12 hours and it takes around 5 times of half-life of a drug to get completely out of your system. Therefore this medication will be out from your system in almost 1 to 3 days. If the heavy dose is administered then elimination may last long for 1 week or more.